Wings of Nature sent along some healthy snacks for Wolf and I to sample. Believe me when I say YUM! 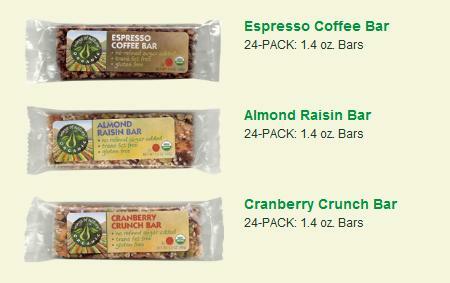 Three samples were sent: Cranberry Crunch Bar, Almond Raisin Bar, and Espresso Coffee Bar. I sampled the first two while Wolf sampled the third. The bars are sweet but not overly. That’s because there is no refined sugar. Rather, the bars are “blended with organic Agave syrup and organic brown rice syrup sweeteners” according to the website and to our taste buds. Neither Wolf nor I felt as if our blood sugars sky rocketed then crashed and burned like we do with regular granola-esque bars. The bars were chewy without being soggy and still crispy without breaking teeth. Filled with healthy, wholesome ingredients, the bars are “gluten free, certified organic, low in sodium, [a] source of fiber, vegan/dairy free, cholesterol free, no GMO, no trans fats, low glycemic carbohydrate, no preservatives or additives, certified kosher, [and] vegetarian.” I would have no problem giving these to children or people with sensitive diets. 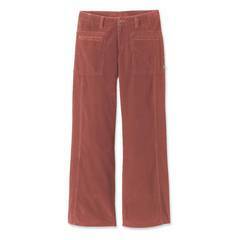 The bars are versatile and easily put in a desk, purse, or backpack for those times when you need a quick bite before dinner. They make a fantastic stocking stuffer so consider putting healthy snacks in the stockings of your loved ones instead of chocolate or other unhealthy “goodies” and cheap plastic crap.